The mission of Veterans to Farmers is to train veterans in agricultural systems, technologies, and business operations for a fulfilling and sustainable lifestyle. 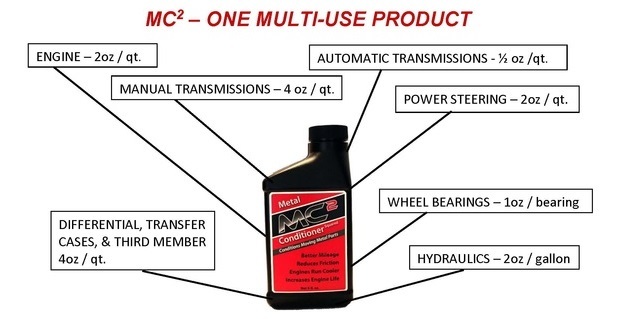 Purchasing MC2 here or with the Coupon Code provides socially and environmentally responsible supporters like you with a discount. It complements the Veterans to Farmers lifestyle. MC2 promotes environmental protection and financially rewards those who use it. Financial Rewards include fuel savings, less wear / repairs, and more power from improved efficiency. Metal Conditioner Squared (MC²) Supports Veterans to Farmers with Unique Discounts. In Addition, Every Purchase Will Result In A Meaningful Donation To Veterans to Farmers.